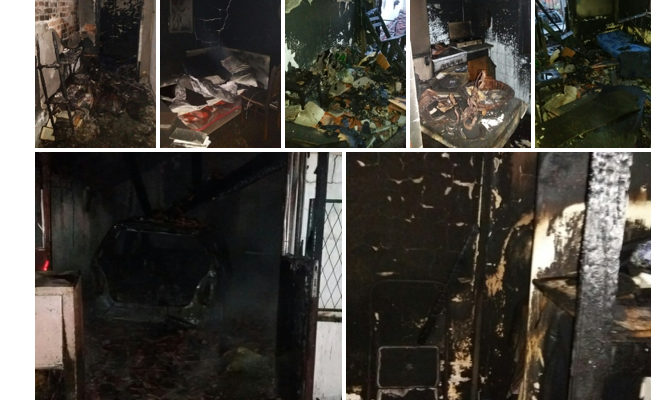 On December 12, 2018, the house of Milan Jovanović, an investigative journalist for the independent news website Žig Info, was set ablaze at 3:30 am in Vrčin when a Molotov cocktail was thrown through his garage window and unidentified persons fired shots at his front door to prevent the family from leaving the house, local and regional media reported. Mr Jovanović and his wife were able to escape through the back window and watched as their entire property, including a car, burned down. Jovanovic was not injured, but he claimed that the fire occurred because of his articles targeting the mafia in the municipality of Grocka, 20 km from Belgrade. The journalist reported on the “suddenly acquired property” of the head of the local Grocka municipality, as well as alleging corruption in the construction of sewage systems, after which local authorities cut down his water supply. Following the attack, he has filed several complaints to the police and written two letters to Serbian President Aleksander Vučić asking him to intervene and ensure he can work without fear of reprisal. Žig Info editor Zeljko Matorcevic said Jovanović received threats in July, after their reports on alleged misconduct in the municipality were published, according to the report.